I am very much looking forward to hearing more about this as I really liked your previous JRPG rules you presented here on your blog. I will definitely be talking more about it here soon, and at some point will start running it online. 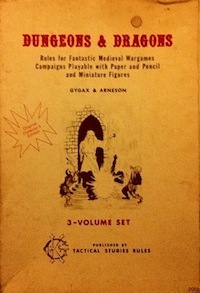 Right now, I am also excited about trying out the new 5E Basic rules, so I will probably run something using that first. Currently planning on trying out the A series modules, as I have the recent hardcover compilation and the play test materials have stat conversions already done. I see. Well, I have no idea how my schedule will look like in the next semester; as for the summer, however, I have plenty of free time (mostly on weekdays, though), so if there’s room in your TFC game, consider me interested.